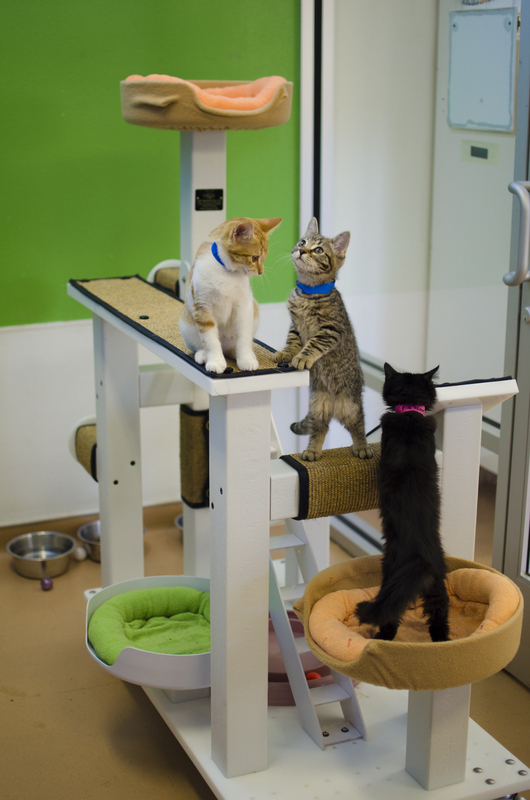 Interested in the ins and outs of creating a successful communal cat room for your shelter? Check out this in-depth guide just published on the ASPCA Professional website. It covers everything from how to choose the cats to house in your group room to protocols for cleaning, providing enrichment, and cat capacities. Animal Arts had a great time collaborating on this material with the folks at CRIJO Pet Products. Our Art is the process of designing spaces for the care and shelter of animals by understanding our clients’ needs, goals and aspirations. This entry was posted in Adoption, Animal Arts, animal behavior, Animal Rescue, Animal Shelters, Animals, Architecture, Cats, Design, Fresh Perspectives and tagged adoption, animal arts, animal behavior, Animal Rescue, animal shelter, animals, architecture, ASPCA, cats, communal cat rooms. Bookmark the permalink.